Last week, after Verizon announced a partnership with Apple, we asked the question, “Is the DROID brand done for?” And while most of you were on-board with the fact that this line of phones is just getting its feet wet, especially with the DROID BIONIC on the way, we were worried about the lack of other potential DROID branded phones since the tag has seemingly been pulled from the XOOM. And then this week we heard other news from more than one source. In 2011, we can expect updated versions of the entire DROID lineup. 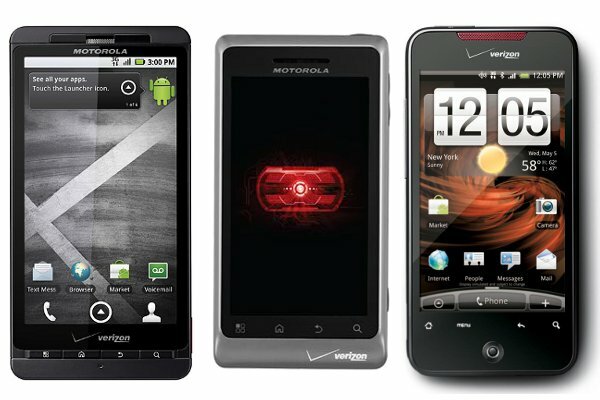 Yep, we’ll see a DROID X2, DROID 3 and Incredible 2. At this time we don’t have details or specs for any of them, but do know that they are appearing on internal Verizon timelines and could be out sooner than you may be imagining. I’m doubting that they’ll be 4G devices since Verizon already has four beasts in the works, plus you have to remember that not everyone will have 4G service until 2013, but that won’t hold them back from being great. And to add to that news, we are under the impression that at least one of them will be a stock Android device. Murmurs of such things have been spreading around the interwebs over the last few weeks, but the acknowledgement from Motorola yesterday that they are willing to work with developers, plus this tweet (Cheers Matt!) from a certain industry friend, leads us to believe that there is still hope. We should also point out that this topic over at Moto’s Get Satisfaction page (Cheers Geran!) which refers to unlocking the DROID X’s bootloader has been flagged as “implemented” by the company. Is that enough good news for the week? Time to start speculating on the upgraded specs we’ll see with these new family members. And I’m officially having a great day.